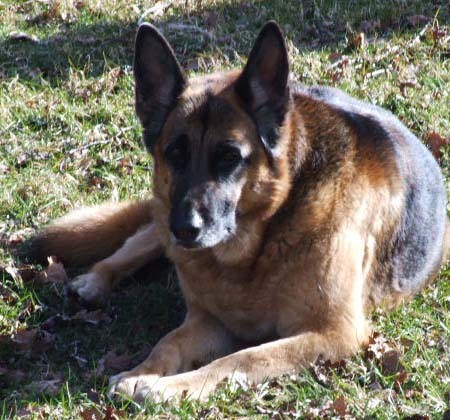 Aw sorry to hear about Diesel, It's always difficult to make "that" call and say goodbye to companion who was always there no matter what was happening in your life. That's always the thing about dogs, they always love you no matter who you are or what sort of a day you have had. You must have some happy memories of your time together and of course some photo's. Sorry to hear of your loss. A pet becomes one of the family. My advice is to get another puppy as soon as possible. Time is a great healer. So sorry to hear about your loss, we lossed our family pet last year and we still miss him. This touched my heart and reminded me of when my best pal Benji (Doberman/Labrador) left me after 15 years. He gave me many hours of love and devotion yet never asked for more than I gave him so I know how you are feeling at this time. Trust me although you will never replace him somewhere there is another pal waiting to follow you on your many walks around your favourite haunts. Very sorry to hear of your loss Alexander. So sorry to read of your loss. Many of us can relate to it - I still miss Sadie, our Goldie, after nearly 8 years. You kind of wonder at times why we put ourselves through it - we know we're probably going to outlive them and have to go through this grief. But the memories (and the photos...)make it all worthwhile, don't they? 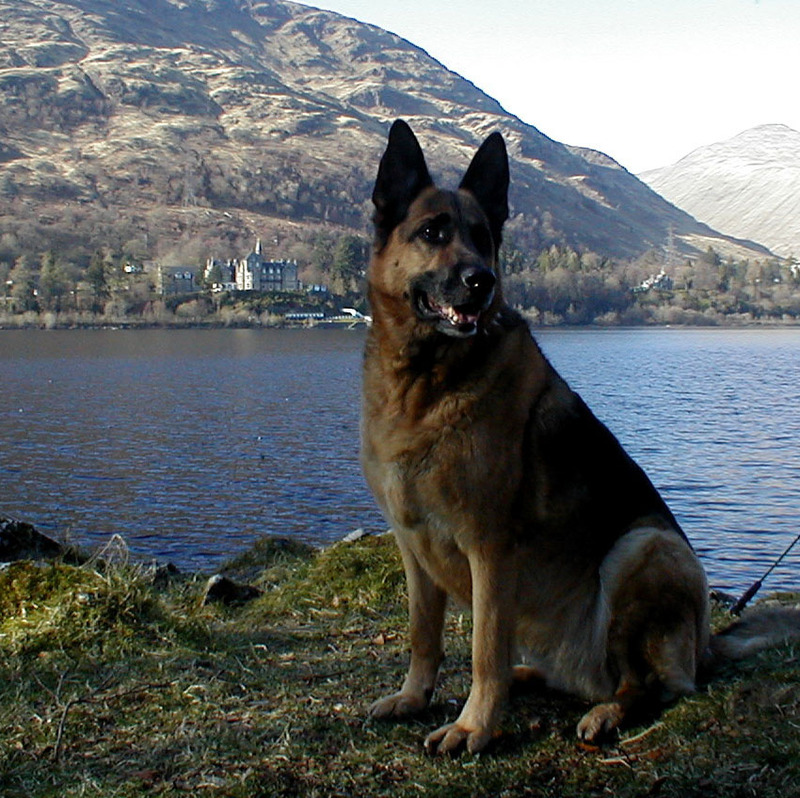 Please accept my sympathies, I know how you must feel, as I have recently lost my pal of eighteen and half years, enjoyed your pictures of Diesel. Ced. 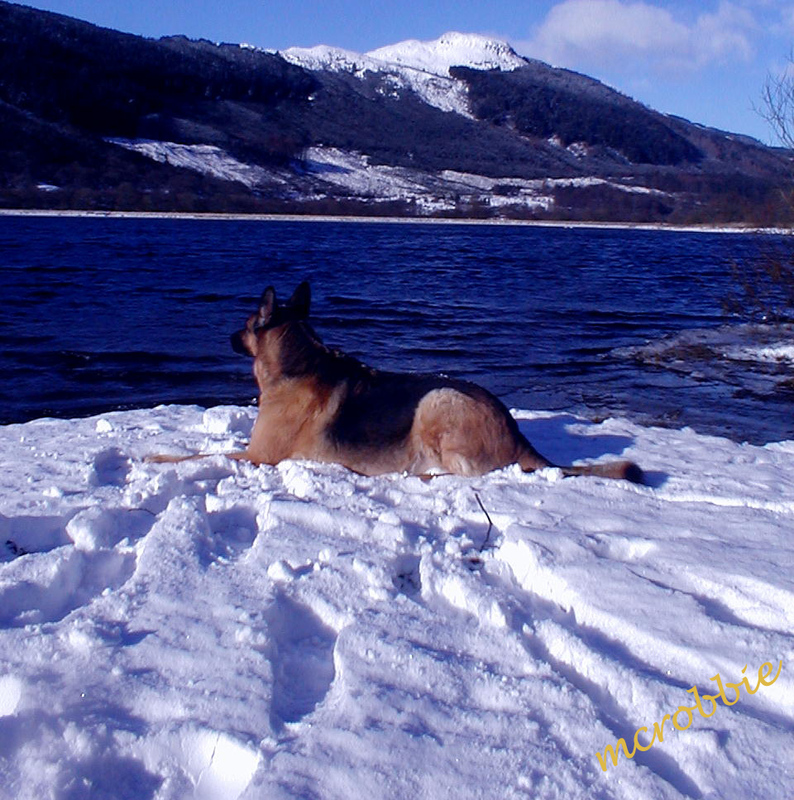 Deepest sympathy from a fellow GSD owner.I,ve had dogs all my life and my current dog is 5 years old.It never gets easier when the time comes to say goodbye to an old friend but I,m sure the memories will last forever. I'm so sorry to hear about losing Diesel. No words can help in your grief. Always remember Diesel with happiness not sadness, it does help a little. She had a rich, full life with a family who loved her. You can do no more for Diesel than honour the memory of your time together and how all your lives were a little richer for knowing and liveing with her. 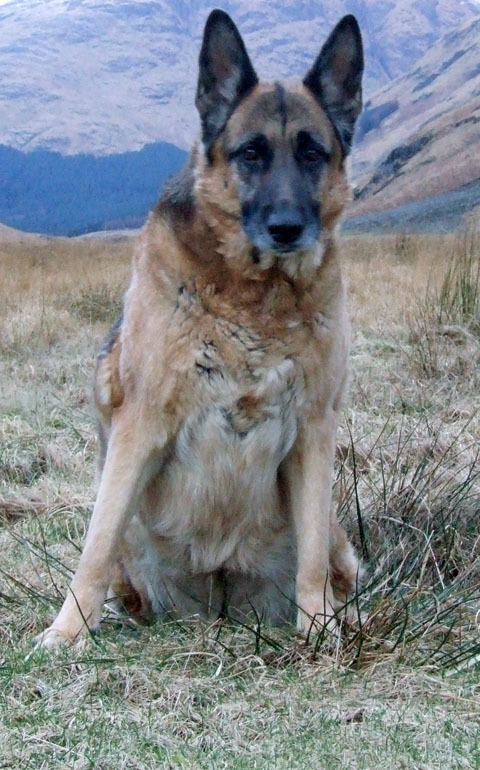 Alexander, as a Shepherd 'owner' myself, I just wanted to say sorry for the loss of your friend. A true loyal friend lost. Know exactly what you are going through you have my deepest sympathy, my thoughts are with you. Sorry for your loss Alex, I know exactly how it feels (I had to do the same for mine about 2 years ago, and it still hurts if I think too deeply about it). 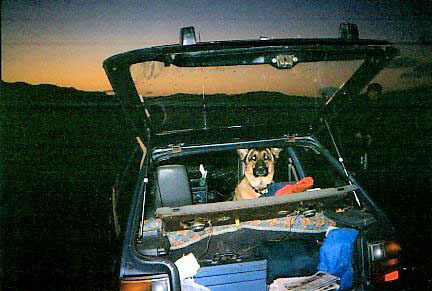 You have to know that you did the best thing for Diesel to alleviate the suffering he would otherwise have gone through and in time you'll remember him as he was in the good times of his life instead of the final moments, but you never ever forget them. Dear Alexander, I was sorry to read your news and send my sympathy to you in what must seem very empty days at the moment. This ‘last call’ is the one thing we owe to our beloved companion dogs at the end, they can’t do it themselves, and they trust us to know what is right. 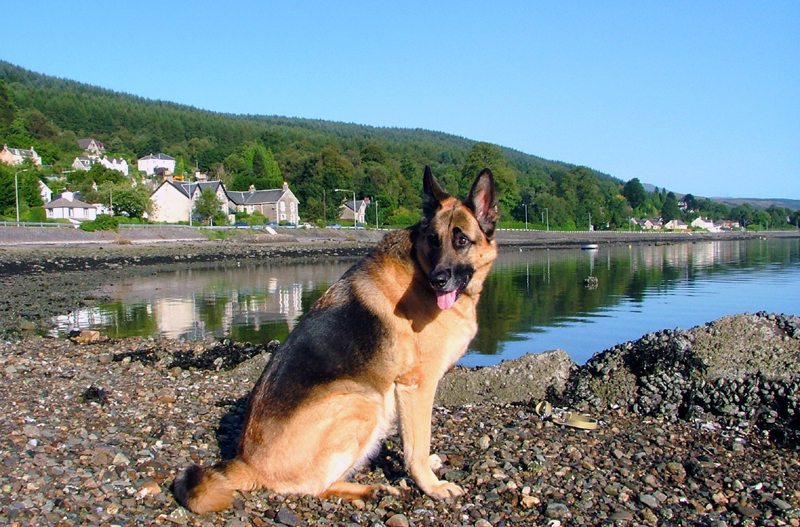 I had to make the same decision myself several years ago now, when my GSD “Astra” was also 13 years old. 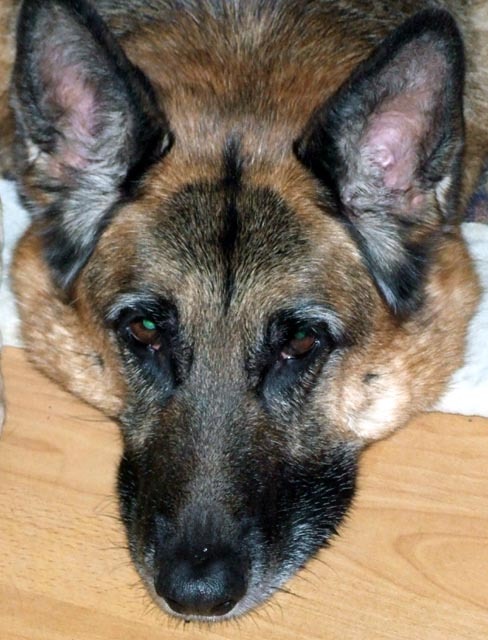 I know you’ll have lots of memories of Diesel & I’m sure you have many photos to remember a very special friend. Hope this short poem might help. now there is you not us. Sorry to hear about Diesel. You will have some great memories though. Hopefully the weather will pick up a bit in the Highlands and you will have a great summer with the camera. So sorry to hear about the loss of your Diesel. They really are such great friends and companions ..it is such a blow when we have to say goodbye. I am sure that you have loads of happy memories (and photos) and that they will help you in the times ahead. I always feel very sorry for those people who say "it was just a dog "!...they have NO IDEA of the joy given ! Sorry for your loss. What a wonderful life he must have had with you; the freedom to roam those beautiful mountains you photograph so perfectly. I have what my wife and I call Mollie days[same story as many dog owners]..It does get easier[its about eight months down the line for me]and we got another rescue belguim shepherd called Penn...however im not able[mentaly]to go to any of her photos,so guess im not realy through it yet..best of luck[if thats right]...richard c.
so sorry to hear of your loss of Diesel just visited your tribute to her and she is a wonderful looking dog, its so difficult losing a pet as the love off them is unconditional, and the fun and laughter they bring is second to none, In time you will be able to look back on your photos and smile when your remember the happy times you both shared together, nobody can take them memories away. I agree, the site is a lovely tribute & I do hope that working on it helps you in these dark days. What a wonderful tribute to your faithful old friend. I know it's early days yet, but there are always many old dogs who's owners have died and they are always the dogs who find it hard to get a new home - people always want puppies. 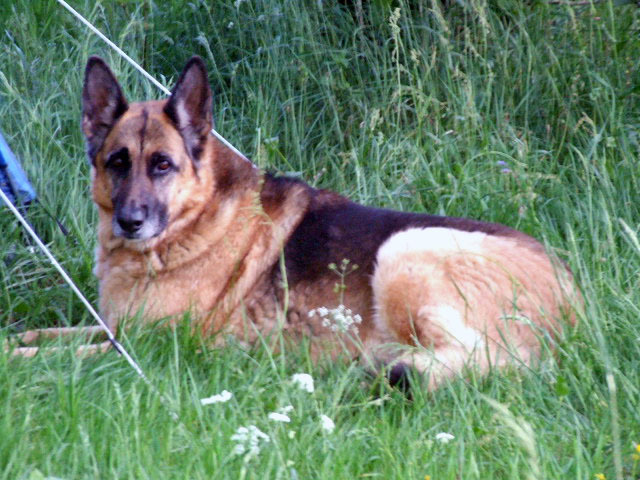 Perhaps you may, in time, feel able to give a home to an older dog. They love us unconditionally. You will see Diesel again someday. He will be wagging his tail and feeling just fine the day you meet again! Keep the chin up Al! Lovely pics, where's the one you took of her in the snow? hi alex we r very sorry to hear about diesel too i know how much she meant to you, and i can understand it when you say what a friend she was and you will allways have her with you i know that when my wee poochy chops passes on i will deffinetly feel the hurt and the sadness, but to know there is people out there that trully and i mean trully love their dogs is a great thing and they fill all the gaps when youre down and you r right they give you someone to talk to she was a lovely lovely dog treasure your memories forever sharon. 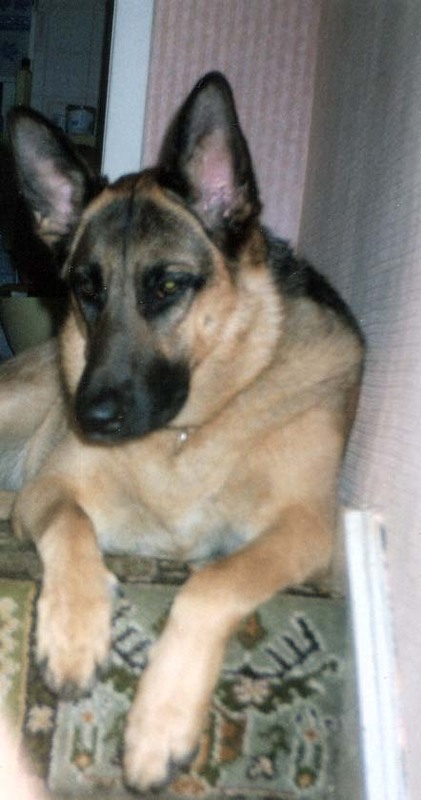 Just been on Diesels web site, she was a great friend and companion to you. Your next dog will have a hard act to follow mate. Will give you a call over the week-end. Really sorry to hear about Diesel. 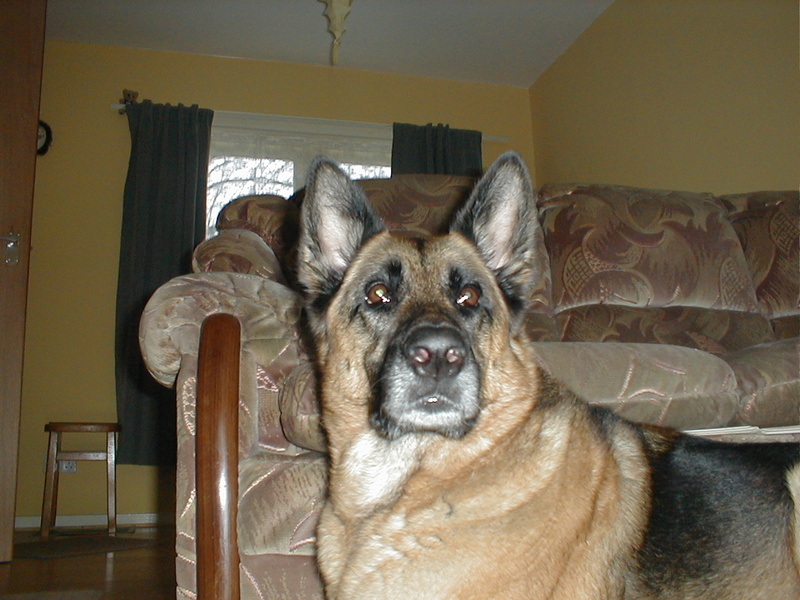 She was a great and truelly majestic dog. I know how much you loved each other.